As though Akira Toriyama’s Dragon Ball hasn’t garnered enough success during its initial run in print and on television the world over, the famed manga and anime series is having quite the revival period in recent years. 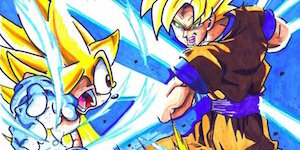 Sequel films Battle of Gods and Resurrection: F have since contributed to the series mythos with the introduction of the Super Saiyan God, and a new sequel anime series – Dragon Ball Super – continues to add to Goku’s many adventures, following the defeat of the alien warlord Frieza, Doctor Gero’s Androids and his ultimate creation in Cell, and Bibbidi’s evil, planet-levelling monster of eons past, Majin Bū. Numerous parallels exist between Dragon Ball and Sonic the Hedgehog – a set of seven magical artifacts said to grant miracles, Super transformations, time-travelling heroes sent back to the present to save their future, just to name a few – but there’s only one such parallel we explore here on Mash-Up Monday (or would a “Fusion Friday” have worked better for this one? ), and that’s music! Our first mash-up – “Dragon Spring” – was submitted to us by TrueBlueFuse, combining the opening to Dragon Ball Z Kai with one of my favourite tracks from the mobile endless runner, Sonic Runners! Takayoshi Tanimoto’s “Dragon Soul” fuses with Tomoya Ohtani’s “Spring Emotions” below! Thanks for sending it in, TBF! On the other hand, Dragon Ball fans in the West are likely to have grown up to Bruce Faulconer’s score, so perhaps the next mash-up, “Knight of the Power” by Hyper-Shan, might suit your fancy! 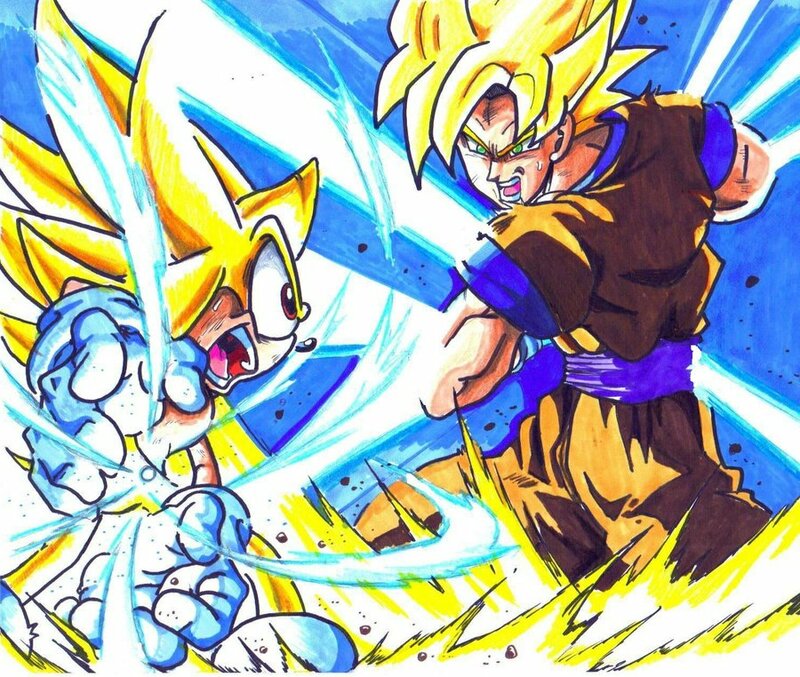 Faulconer’s “Gohan Powers Up”, first played during the Z Warriors’ climactic battle with Cell (heck, some of you might even recognize this tune from Chakra-X’s Sonic: Nazo Unleashed animated fan film! ), combines with Crush 40’s “Knight of the Wind”, from Sonic and the Black Knight, and the end result makes for a rather mystical take on an otherwise rock-heavy track. On one hand, it’s easier on the ears, but on the other, it sounds otherworldly! Hail to the King (of Pop), baby! As if the world hasn’t seen enough Michael Jackson/Sonic mash-ups, Hyper-Shan of the SSMB decided to combine one of the King’s tracks with something a little more recent than most combinations. Thus, fusing Sky Fortress Acts 2 and 3 of Sonic 4: Episode II with They Don’t Care About Us, this mash-up was born! On that note, happy birthday to Shan as well! Have a good one! Found an interesting mash-up for a future Mash-Up Monday? Have one of your own you’d want to see featured? Then don’t hesitate to send it over to vizardjeffhog@sonicstadium.org!